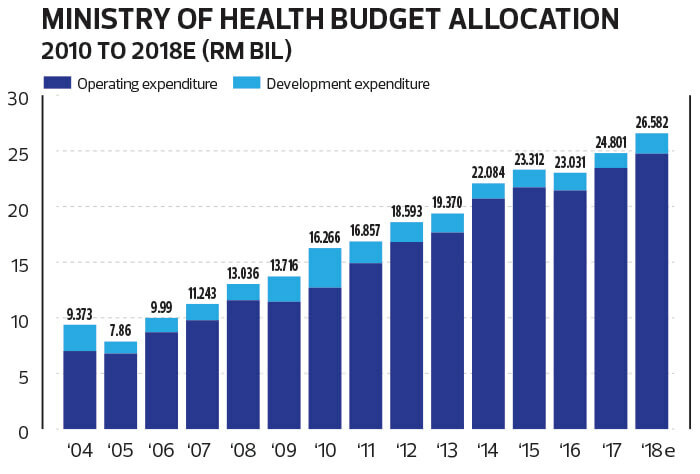 IMPROVING access to quality healthcare services was one of the Pakatan Harapan government’s key promises to the people, who “are increasingly concerned about rising healthcare costs”. “Equal access to quality healthcare services is an important indicator of a balanced society … we are still far from the rate of 7% of gross domestic product (GDP) that is recommended by international bodies,” said Pakatan Harapan’s manifesto for the 14th general election (GE14), adding that it “will ensure that financial allocation for the Ministry of Health (MoH) is increased to 4% of GDP in the first term of our administration” from around 2% of GDP. 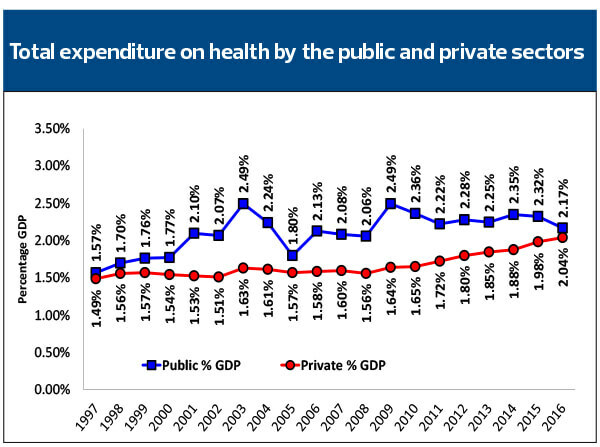 To deliver on its word, the government’s healthcare spending is set to rise significantly in the coming five years but due to its RM1 trillion debt burden, the chances are that the private sector and the people will likely be roped in to hasten the speed at which the country’s entire healthcare delivery machinery can be recast to effectively and efficiently serve an ageing society in a developed nation. Among other things, there will be increased focus on non-communicable diseases — not just the provision of treatment for cancer but also the prevention and early detection of diseases, which will not only reduce healthcare costs but also raise the chances of recovery. This would require better urban planning, public transport and food industry legislation, among others. Incentives will also be provided to set up palliative care centres across the country to raise the standard of care for terminally ill patients. That is timely as the risks of illnesses like cancer go up as society ages. The government’s budget allocation will also provide incentives for private and charitable bodies to tackle rare diseases, “especially among the have-nots, and to help families with special needs children”. What has already made the headlines is the health insurance protection scheme for the more vulnerable bottom 40% (B40) group to be tabled in Budget 2019, scheduled for Nov 2, by the Minister of Finance, according to the parliament’s website. “The government could provide insurance protection of between RM10,000 and RM20,000 a year per family for hospital bills,” Deputy Health Minister Dr Lee Boon Chye told reporters last week when asked for an example of the scheme. As many Malaysians still cannot afford to buy the health insurance they require, the government also promised the introduction of Skim Peduli Sihat, where the B40 group will get a RM500 subsidy for basic treatment in registered private clinics. “This will ensure that they do not just depend on government hospitals or public health centres that may be far from their homes. It also reduces the workload of government health officers. The Pakatan Harapan government will pursue closer collaboration between government health centres and private clinics so that we can enhance service coverage,” the manifesto said. The national median B40 household income was RM3,000 a month, just above the average of RM2,848 a month in 2016. Households earning below RM4,360 a month are considered B40, those earning between RM4,360 and RM9,619 are considered the middle 40% (M40) while those earning above RM9,620 are considered the top 20% (T20), according to data from the Statistics Department of Malaysia’s Household and Income Survey 2016. The B40 monthly income ceiling is RM4,930 for urban households while the threshold for rural households is RM3,010. There was also the promise of “free ward service to all citizens in all government hospitals for class 2 and 3 wards” in the manifesto. More government resources will be channelled into mental healthcare through government hospitals, especially in terms of human resources and also through insurance coverage. The government will also provide compulsory pneumococcal vaccination for all children under the age of two, the manifesto said. It is hoped that higher government healthcare spending will allow more public hospitals to have sophisticated equipment as well as committed specialists, who would no longer be overburdened. As rising healthcare cost is also faced by Malaysians outside the B40 group, there are those who reckon that a mandatory health insurance scheme should be introduced for all Malaysians, not just those in the vulnerable income bracket. The healthcare coverage safety net can also be expanded if resources spent by the government, companies as well as the individuals themselves can be pooled together and if duplications are minimised, if not eliminated, experts say. Apart from roping in various stakeholders, including companies and institutions that provide their employees with good healthcare coverage, the government could free up more resources for healthcare if wastage is cut with transparent procurement practices and expert value negotiators. 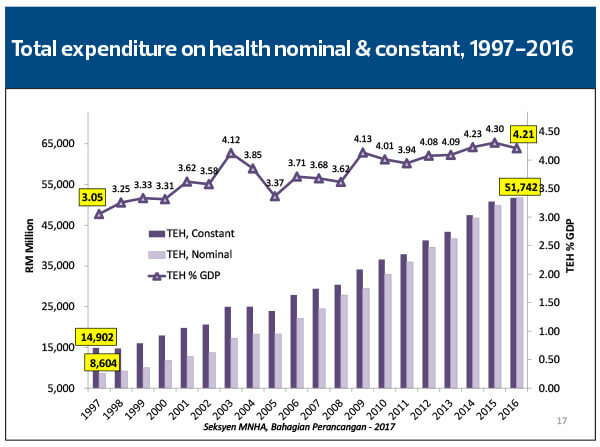 To be fair, healthcare spending has largely increased in the past decade and a half, growing at a compound annual growth rate of 7.7% from RM9.37 billion in 2004 to RM26.58 billion this year. Nonetheless, the growth in costs and needs is larger, going by the overstretched public facilities. Malaysia’s healthcare inflation was 11.5% in 2016 and was projected to rise to 12.7% last year before easing to 10.2% this year, according to a 2017 survey by consulting and broking entity Mercer Marsh Benefits. A reduction in debt and debt service charges would also avail limited government income for better use. 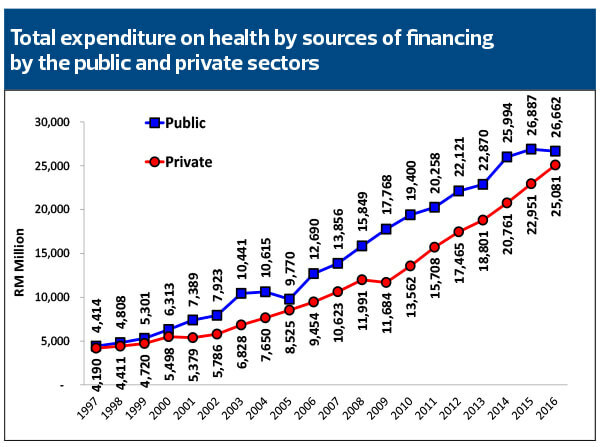 In 13 of the past 15 years, more money was spent on servicing government debt than the amount allocated to the Ministry of Health (MoH), the exception being 2008 and 2010, government data shows. The financial situation worsened from 2008 when the amount the government spent on operating expenses or salaries, overheads and upkeep exceeded 95% of government revenue every year. That left little for development expenditure. Based on the old Budget 2018, debt service charges were projected to reach RM30.88 billion (13% of federal government revenue) this year while the allocation for MoH was RM26.58 billion (11% of federal government revenue). 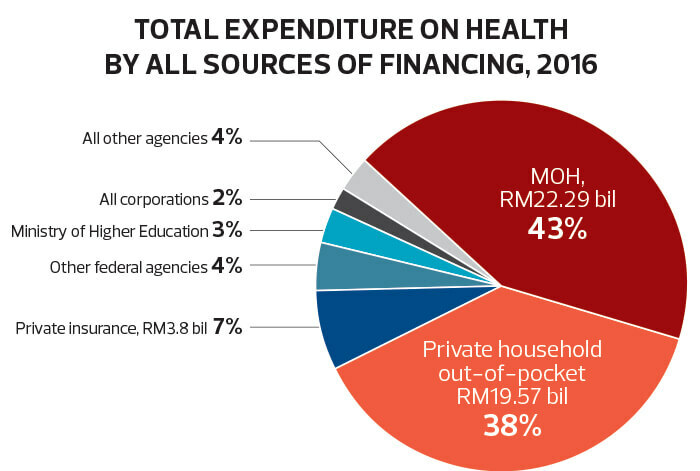 Some 93% or RM24.74 billion of the MoH’s allocation was for operating expenses, only slightly better than the national figure of 98%. What is certain is that a lot of work needs to be done if Malaysia hopes to ensure timely delivery of that promise of equitable access to quality healthcare services that is sustainable for generations to come.